The Dodgers made a trade with the Mariners — their fifth since December of 2015. They sent right-handed pitching prospect Chase De Jong to Seattle for shortstop prospect Drew Jackson and right-handed pitching prospect Aneurys Zabala. De Jong ranked No. 17 in my Top 100 prospects series, which I revealed last week. Here’s an piece of what I wrote. So, you’re looking at a back-of-the-rotation starter, a swingman or middle reliever. He has an MLB profile, it just remains to be seen how he plays out. De Jong, 23, was on the Dodgers’ 40-man roster after being added in November. His departure opens up a spot for a future addition, because you know that spot won’t be vacant for long. Maybe it’ll be for Charlie Culberson or one of the other non-roster invitees. Maybe it’ll be for an exciting prospect like Cody Bellinger. 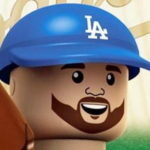 Or maybe, it’ll be for a former Dodger great in Eric Gagne. For the record, I don’t think it’ll be Gagne, but it’s fun to dream sometimes. The Dodgers still have insane pitching depth even after trading pitching prospects like De Jong, Jharel Cotton, Jose De Leon, Carlos Frias (technically not a prospect anymore), Grant Holmes, Zach Lee, Frankie Montas and Joe Wieland (also not a prospect). Coincidentally, Lee and Wieland were sent to the Mariners (and Frias was almost sent there, too). Despite that, De Jong was viewed as expendable, even though he was on the cusp of making his MLB debut. It’s a bummer to see him go, but he’ll have a much better chance of getting some rotation time in Seattle than he would in Los Angeles. As for the Dodgers’ return, well, I like it. A lot. Jackson, 23, has been a low-key favorite of mine since the Mariners drafted him in the fifth round of the 2015 MLB Draft. There are a couple of things he does really well — he runs fast and he plays good defense at shortstop. In his debut season, he showed glimpses of being quite the 5th-round find. He hit .358/.432/.447 with and 11.3 percent walk rate and 47 stolen bases (in 51 attempts). Granted, that was him dominating the Northwest League as a collegiate draftee (took home MVP honors), so those numbers needed to be taken with a large grain of salt. Let’s hear from some prospect experts and, coincidentally or not, some Mariners’ fans. Drew Jackson future avg defense at shortstop, it's an 80 arm, expands the zone so there will be K's and bat is light in general. Always been lower on Jackson, but he can run, and he's an above-average defender at short. Don't think he ever hits enough to be a starter. From Dave DeFreitas of 2080 Baseball (from 2016). And from Jason Churchill of Prospect Insider. That about sums it up. If you’re going to bet on a prospect, you bet on one whose athletic like Jackson. While his bat speed is lacking, that isn’t always the thing that kills a prospect’s value at the plate. Perhaps a new organization with fresh eyes could unlock some of what Jackson has been missing, and the Dodgers could have done a lot worse than acquiring a young, athletic shortstop. There’s not much question about his defense (outside of his arm accuracy) and his speed is among the best in the system. Churchill also included an interesting opinion about playing Jackson all over the diamond. That profile sounds a lot like Enrique Hernandez, but Jackson has a chance to be much better defensively. While I like Jackson, the more intriguing piece of the deal is Zabala. Aside from having an 80-grade name, Zabala also possesses a fastball that has 80-grade velocity. The Mariners signed him out of the Dominican Republic in 2014. He’s armed with a high-90s fastball and a low-80s hammer curveball that some see as at least an average pitch. His command is poor — sometimes very poor. That’s what has plagued him in his brief pro career. One plus is the fact he has allowed just two home runs in 102 1/3 career innings. Granted, that has all come in complex ball (DSL, AZL), but it’s something to keep an eye on. Zabala is strictly a relief prospect at this rate, but the ceiling on him is pretty high. Keith Law rated him highly, despite a reliever-only profile. Command is yuck and stuff varies quite a bit, but the talent is there to be a high-leverage reliever, maybe a closer. And some video from Mr. Longenhagen. There’s a lot to like about Zabala, but he’s farm from a sure thing. Still, he has the highest ceiling of any player in this deal. If I’m ranking these guys in my Top 100, I could easily put Jackson in the No. 17 spot vacated by De Jong. I believe in the athleticism that much. 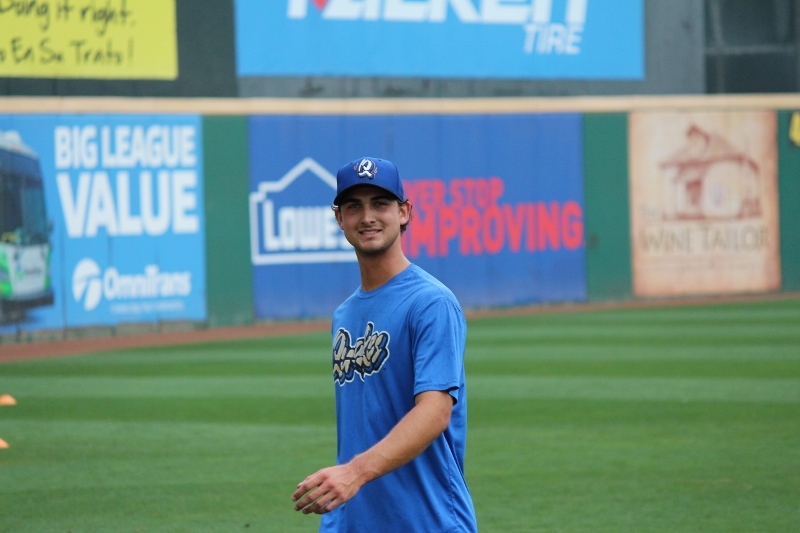 Zabala could be a Top 30 guy, but the Dodgers’ system is pretty deep. It’d be hard to justify ranking him ahead of guys like Jacob Rhame and Yaisel Sierra in the 21-30 range, so he’s more likely a 31-40 guy. I probably wouldn’t rank him ahead of pitchers like Joe Broussard or Dennis Santana, either. But that says more about the Dodgers’ depth than Zabala’s potential. If it seems like the Dodgers did pretty well in this deal, there might be a reason for that. I’m probably the high guy on this deal. But for the Dodgers to turn De Jong into two quality prospects like Jackson and Zabala, that goes down as a win in my book.